Whether you rent or own the skis you’re on, you’ve paid good money for them. So use the whole thing! 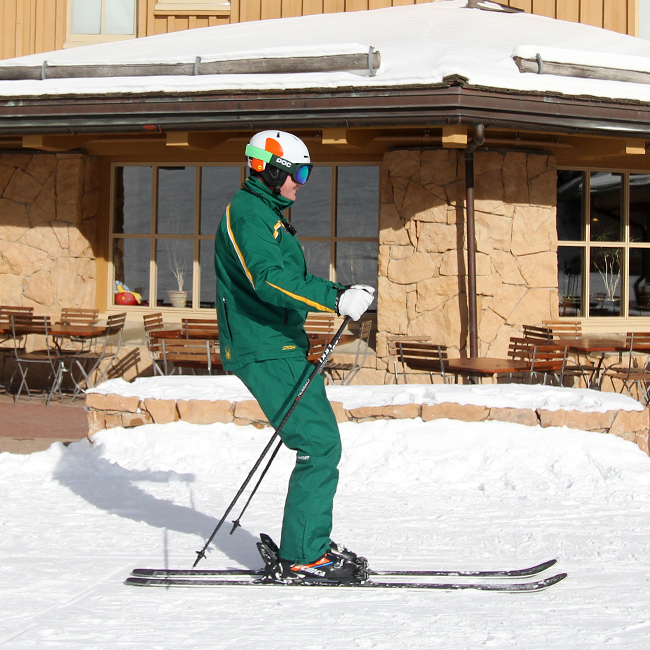 A common mistake we see skiers make is skiing in the “back seat.” By “back seat” we mean when a skier’s body mass is behind their feet while in motion. 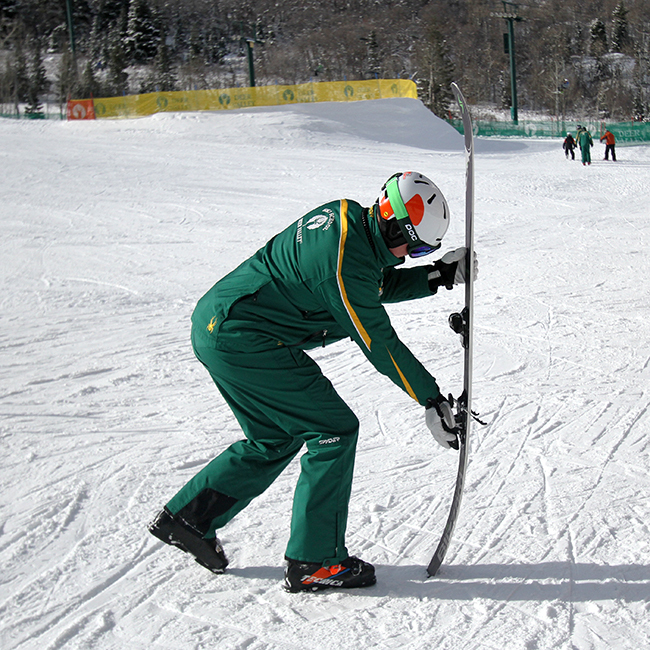 This can cause pressure to build up on the back of the skis and ends up limiting your control. When this happens you become more of a passenger than the pilot. Here Derek demonstrates “neutral” position. His hips are over his boots and his shins and spine are at roughly the same angle. A commonly corrected ski problem, sitting back seat. 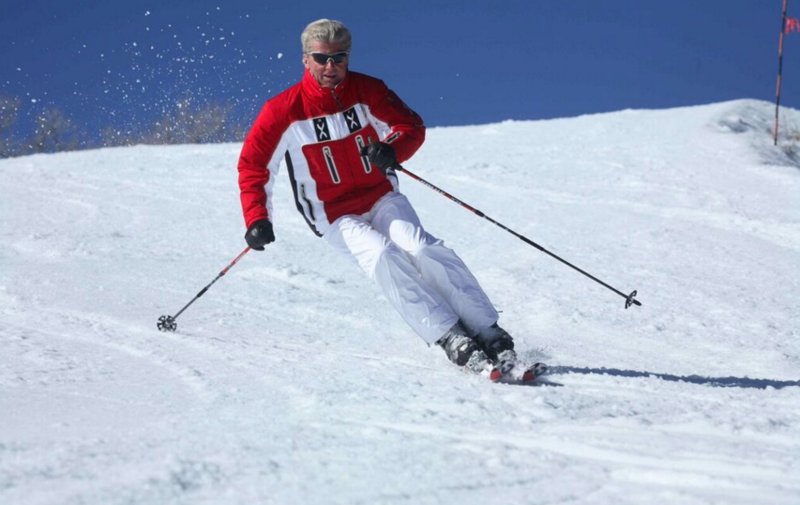 Here Derek’s body mass is too far forward, this is not an ideal position to ski from. To get comfortable skiing in a more athletic stance, try standing still and focus on feeling your body weight evenly along the length of your feet with “closed” ankles. This requires a slight bend in your ankles, knees, and hips to align your body mass over your feet. Once you’ve got it, put it in motion and try to feel the same sensation. You will be able to control pressure along the length of your skis, causing them to bend more evenly and improving overall control. Now you’re the pilot and better prepared for anything the hills throw at you. Here Derek demonstrates the full flex power of your ski. 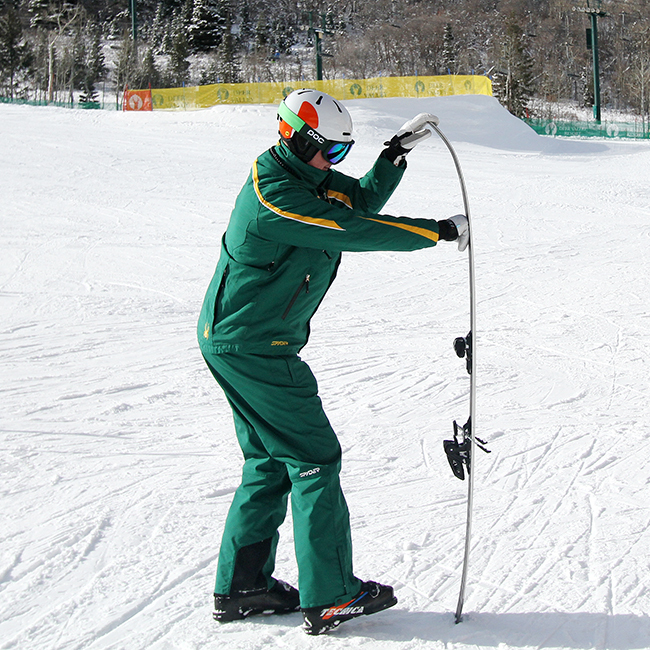 When your body mass is correctly centered over your whole ski, you have way more to work with. 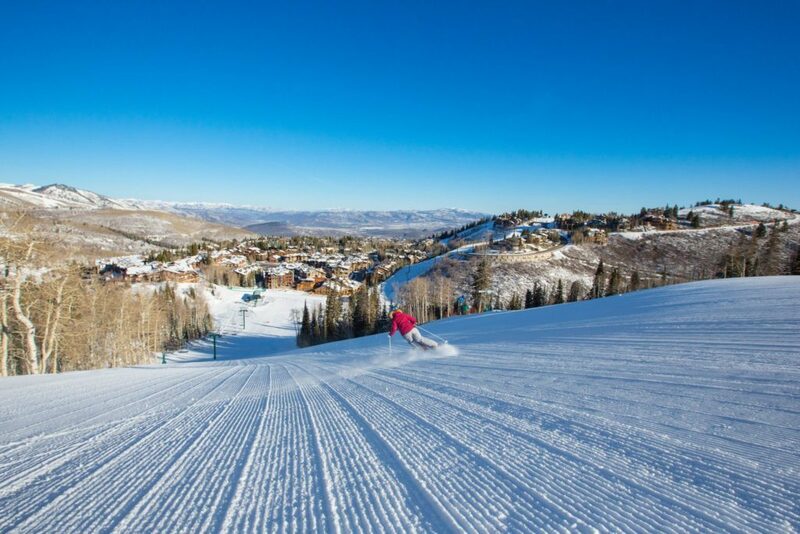 When sitting “back seat,” you’re exerting more pressure on the backs of your skis, which limits control. 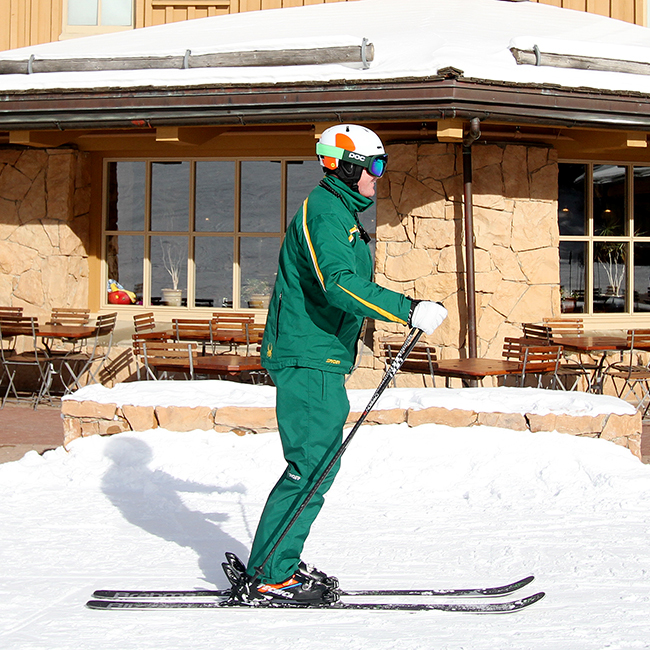 Sitting too far forward does the same as sitting too far back, but with more pressure on the fronts of your skis. Again, this limits control. 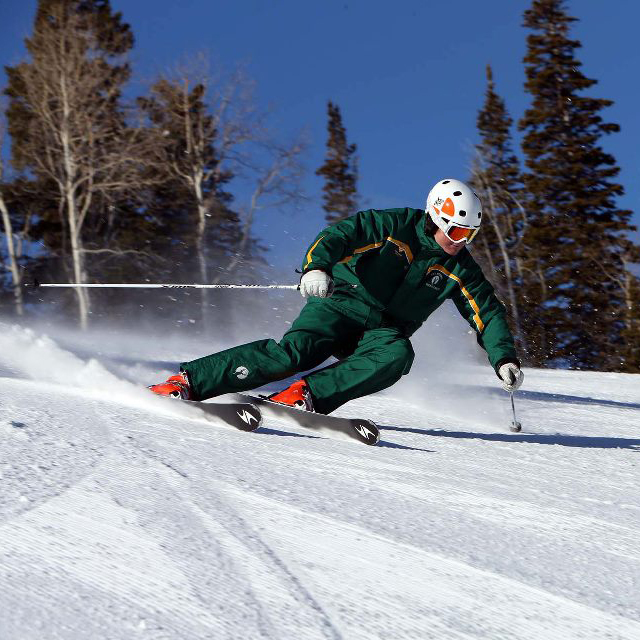 Derek Althof has 16 years experience in the ski industry and is Deer Valley’s ski school training manager and an alpine examiner and clinic leader for the Professional Ski Instructors of America’s Central and Intermountain Divisions. 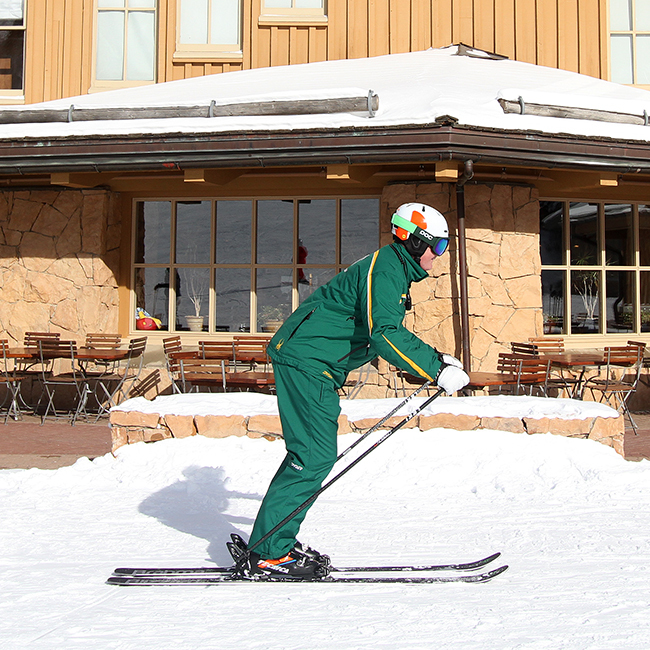 Derek learned to ski at age four and has had a passion for good skiing ever since. 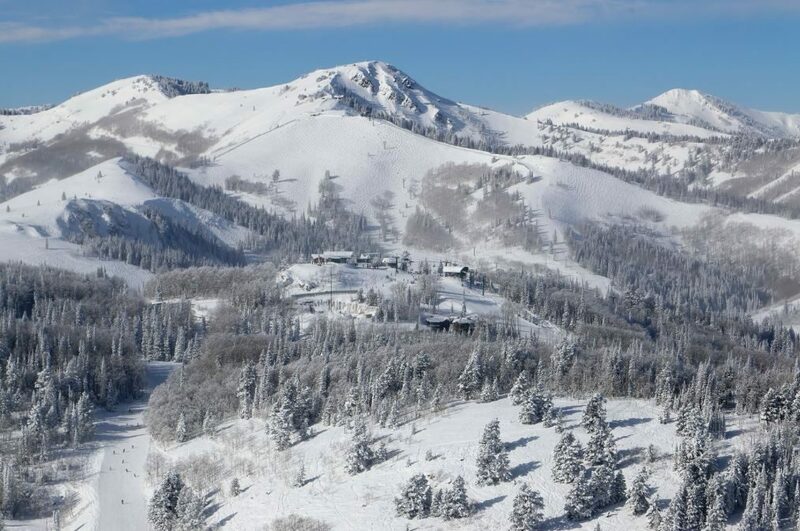 We hope you enjoy our weekly skiing tips. 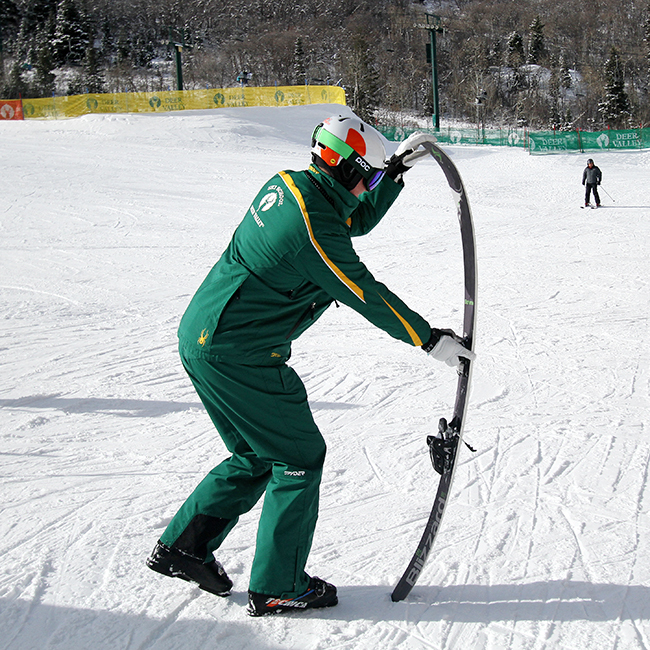 Please remember that they can help but will not eliminate risks, as skiing is a dynamic sport. These tips are meant to help you build skills and progress for a more enjoyable skiing experience.